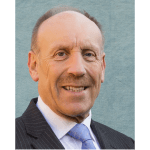 John has over 48 years experience in the metal processing and engineering industries, since starting as an undergraduate apprentice at IMI plc. He joined Caparo from IMI in 1991 as a subsidiary Managing Director. In 1995 he was appointed CEO of the Caparo Engineering Division and joined the Main Board of Caparo Industries Plc in 1997. Caparo Industries Plc was purchased by the Liberty House Group in November 2015. Since then John has been Director- Group Corporate Services, Liberty Industries Ltd. John is a Member of the Institution of Materials, Minerals and Mining and a Chartered Engineer. John is a Warden of the Standard of Wrought Plate in Birmingham (Assay Office Birmingham), Wolverhampton Business Champion; a member of Wolverhampton City Strategy Board; Chair of the Wolverhampton Economic Growth Board; a Sandwell Business Ambassador; member of the Black Country LEP Competitiveness Advisory Board; and a member of the EEF West Midlands Regional Advisory Board, and a Vice President of the West Midlands British Red Cross.